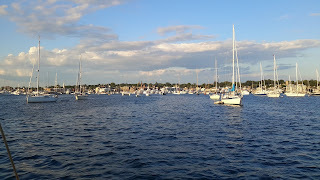 Its been a while since i last blogged, but on July 16, I sailed from Wrightsville Beach to Newport. It was the longest trip I had attempted offshore and ended up taking me a week. I had expected to ride a northbound wind initially, but because I was a little late in leaving, I ended up with head winds for the first couple of days. Just before I reached my destination, I had a great experience of a pod of finback whales surfacing all around my boat. As well, both America's cup boats US22 and US23 escorted me into port. I had a diesel leak in my boat before I left, but I had it fixed by my favorite mechanics, specialized mechanical in Wrightsville Beach. I also have to replace my mainsail here in Newport. I ordered a used one from a used sails supplier, Bacons in Annapolis, and I will have a local loft add sliding lugs and battons. 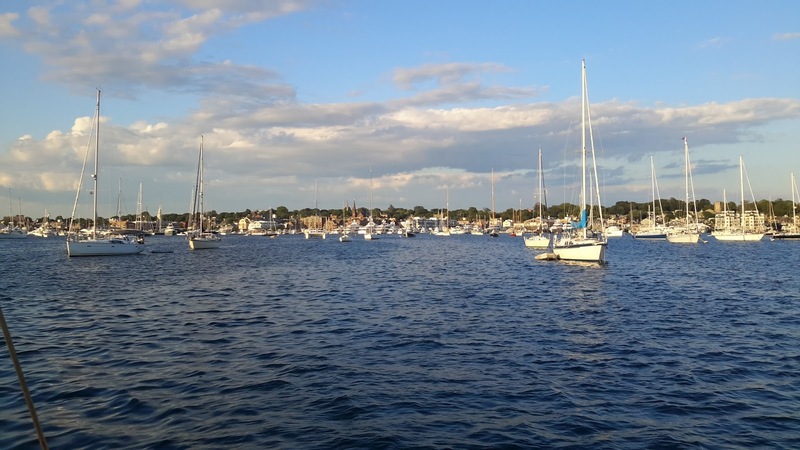 I posted a youtube video of my trip which you can see below, and Newport is a beautiful city with a big sailing community. It was home to the America's cup for many years before it was taken down under, a fact that locals like to remind me of. Good to hear from you again, Peter.